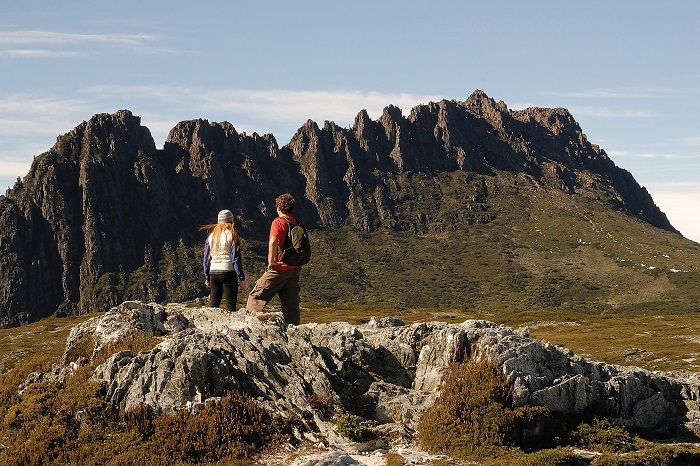 Immerse yourself in the wild beauty of Tasmania on this adventurous 5-day trip. 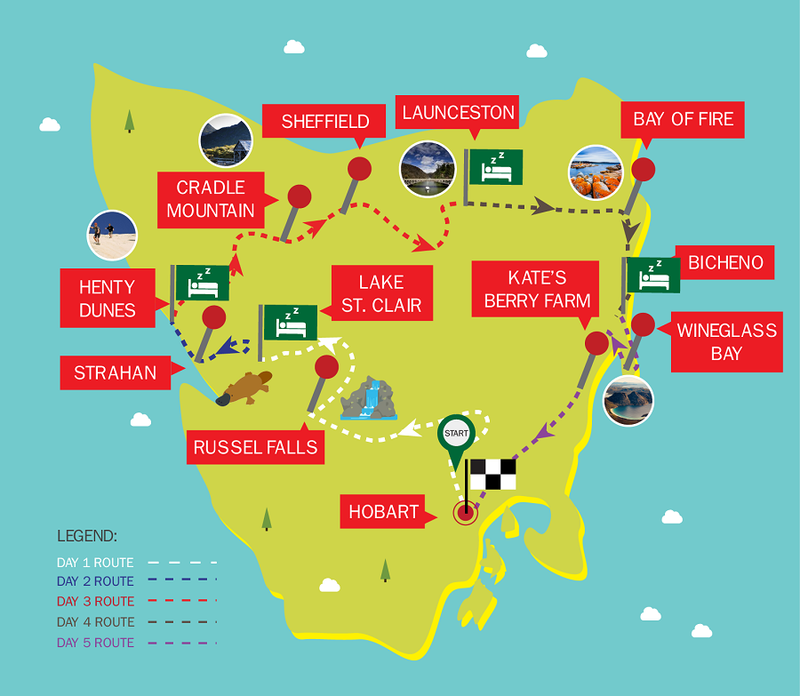 We’ll take you to all the best spots, including the high peak of Cradle Mountain, the glistening shores of Wineglass Bay, and the impressive landscape of the Bay of Fires. Meals and food are not provided, however, you will get the chance to purchase food from restaurants, cafes and supermarkets. The accommodation we stay in will have kitchen facilities for preparing your own food, or you can eat out if you prefer. We highly suggest travellers with very specific requirements to purchase their food in Hobart, as they may be limited options for you in some regional areas. Luggage is restricted to a maximum of one 20kgs backpack or suitcase and one hand luggage size bag per person. Note: Accommodation upgrades are subject to availability. Comfortable shoes to walk in, warm clothes for the mountains, light clothes for the beach, a rain jacket or umbrella, toiletries, swimmers, water bottle and snacks in your hand luggage. The tour kicks off in Mount Field National Park, a huge swathe of World Heritage listed wilderness that boasts the beautiful cascade of Russell Falls and some of the tallest trees on the planet. We’ll take a lunch break on the banks of Lake St Clair, Australia’s deepest lake, where you might be able to spot an elusive platypus if you’re lucky. From there, we’ll take a walk up Donaghy’s Hill for impressive views out across Frenchmans Cap and the Franklin River. 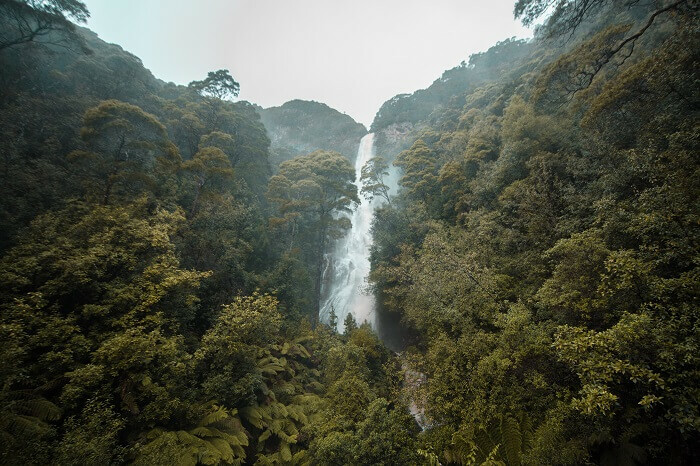 On the second day, we’ll start with a stroll through a lush rainforest to Montezuma Falls, the highest waterfall in Tasmania. Lunch will be in the fishing town of Strahan where you can delve into the historical roots of the British Empire. 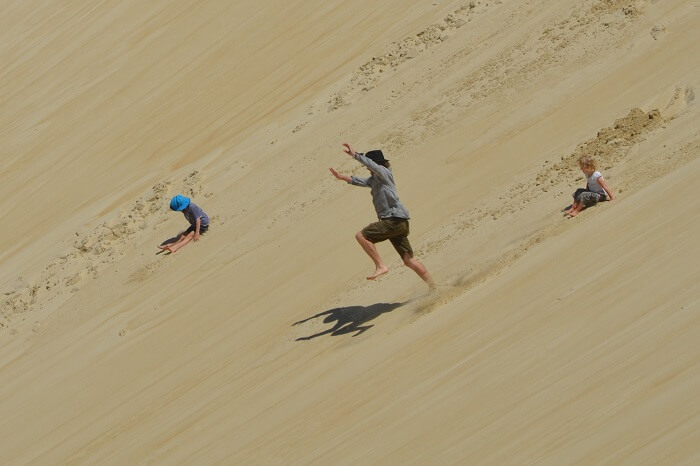 Afterwards, you can enjoy views of the Southern Ocean from the Henty Dunes. We’ll take a hike up Cradle Mountain on day three, before launching in Sheffield. Here, you can sample some of Tasmania’s most delicious flavours, including the famous local hot smoked salmon. 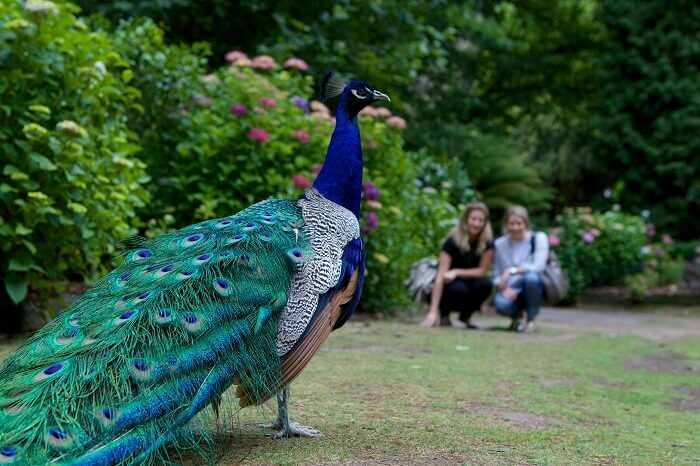 In the evening, we’ll venture to Launceston to check out Cataract Gorge. We head east on day four to Legerwood, where you can see some incredible memorial carvings and take part in an award-winning cheese tasting session. After lunch, we’ll make our way to the picturesque Bay of Fires, where you can witness some of the whitest sands in Tasmania, bathe in some of the clearest waters, and tuck into local oysters. 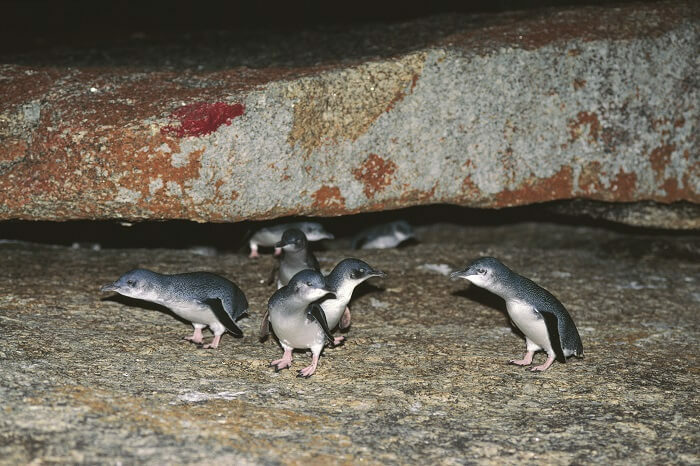 In the evening, you can watch the colony of little penguins waddle up Bicheno beach to nest down for the night. 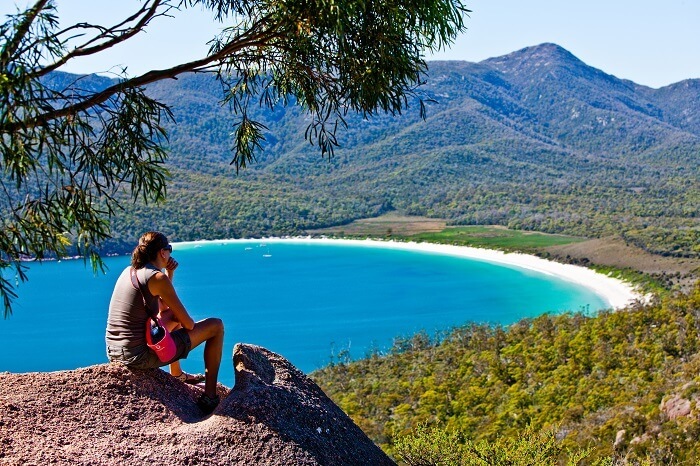 On the final day, we head to Wineglass Bay, where you can marvel at stunning views from the lookouts – if you’re feeling adventurous, you can climb the heights of Mount Amos to enjoy even more spectacular panoramas. You’ll also have the chance to see the rescued animals at East Coast Natureworld before we head back to Hobart via Kate’s Berry Farm in Swansea.